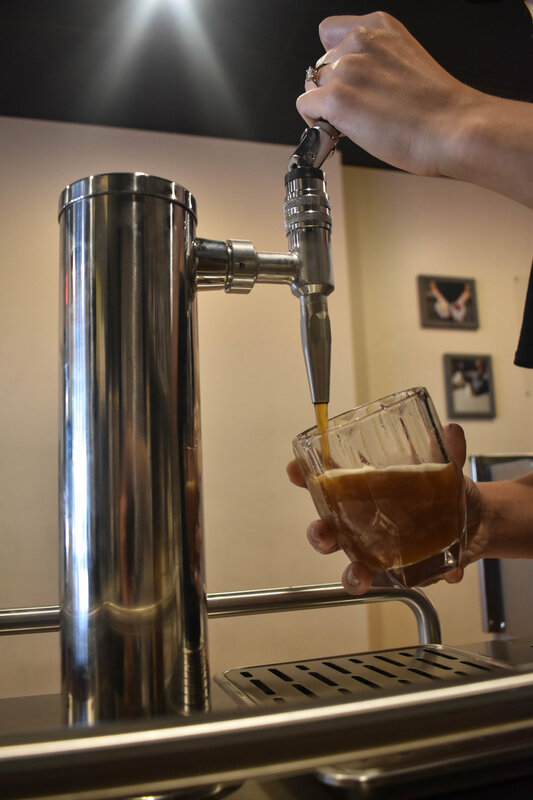 Nitro Cold Brew Coffee begins with a coffee that is brewed at 40 degrees for 24 hours. From there we cool it down to 35 degrees and infused with nitrogen. The result is a cup of black coffee that is creamy, smooth, and less acidic than normal hot brewed coffee. It is a cascading coffee topped with a foaming head. It pours fresh from a tap.